Outside of humans, there are some fascinating creatures on this Earth. Different species have various traits about them that make them unique and make us want to know more about them. However, there are some that we should stay far away from unless we’ve had proper training. For example, a few snakes are harmless, and you can own them as pets, but some snakes can also make you bleed from all your pores. The list goes on and if you’re brave enough to discover the most dangerous species on this planet, then feel free to click ahead. Spiders are already creatures that you don’t want to get too comfortable with, but this guy is the king of poisonous spiders. 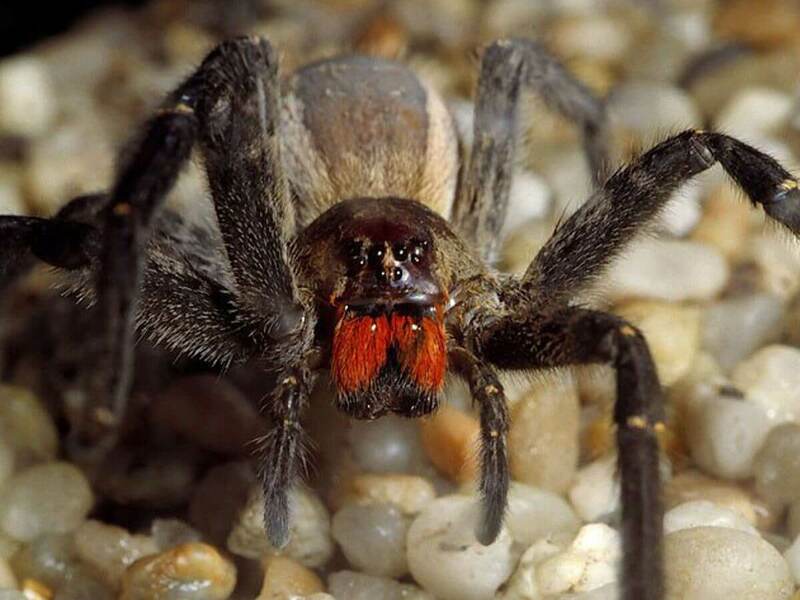 Some eight-legged freaks kill you, but the Brazillian Wandering Spider makes your death the worst. After it bites you, it’s best to send a mass text to all the ones you love because you will experience three horrifying things, and a fourth if you’re a male. Heart problems, hypothermia, convulsions and for guys, a painful erection that doesn’t go away are all in store for you. Have you heard of a blue-ringed octopus? You won’t want to meet one after you learn what they can do to a human. 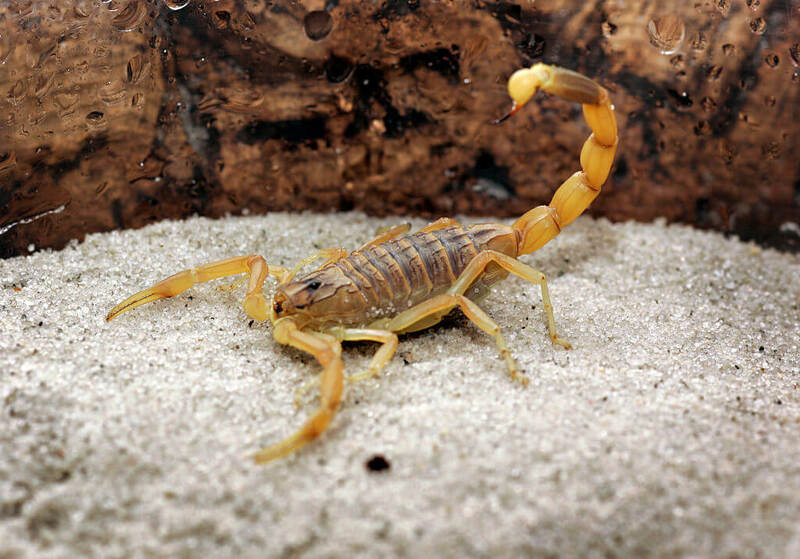 The good thing for Americans when it comes to the Deathstalker Scorpion is that they primarily reside in North Africa and the Middle East. The bad news for those citizens is that this scorpion is responsible for more than 75% of scorpion related deaths. 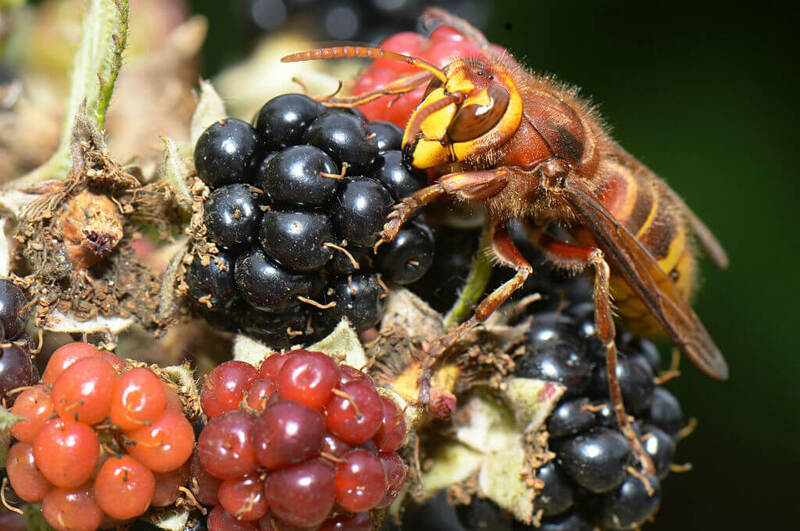 Healthy adults aren’t as susceptible to death when stung by these guys, but we can’t say the same for children. Kids suffer fever, coma convulsions, and paralysis right before their lungs get filled with their own fluids causing them to drown. We know, big cats are often looked at as adorable and animals that you want to pet. Yeah, if you’re a zookeeper that’s fine, but if you run into the African Leopard in the wild, you might want to call it quits. Putting up a fight won’t help against these big cats. 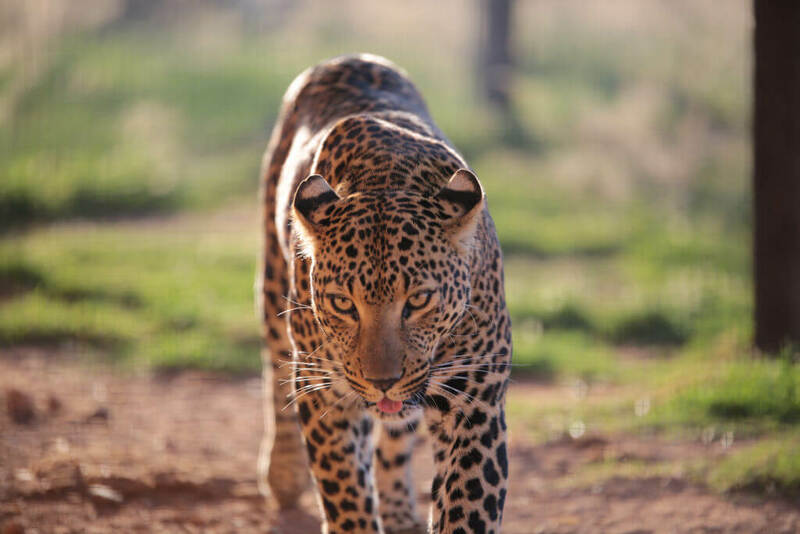 When this leopard becomes injured, it fights back and become even more dangerous. They aren’t the biggest of cats, but African Leopards have massive strength and can hide big kills like antelope and giraffe in trees. These aren’t your regular run-of-the-mill bees buzzing in your backyard collecting pollen. No, these little guys are extremely dangerous. They came about when a Brazilian beekeeper tried to interbreed European and African honey bees back in 1957. They are genetically mixed “killer bees” that have since spread throughout North and South America. If you make one mad, then chances are it will chase you for miles and call in more to swarm you aggressively. You had better hope your home is nearby, and the windows are shut! This seal doesn’t have the appearance of the cute ones we all know and adore. 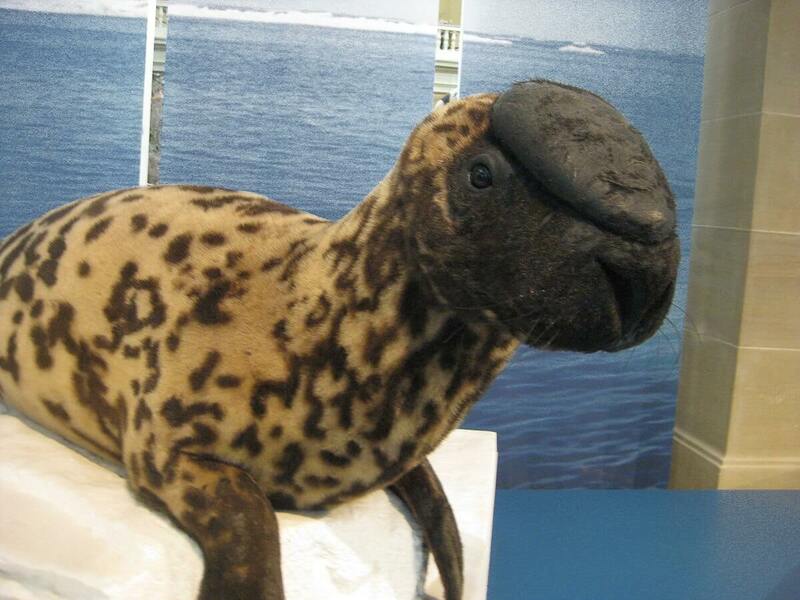 The hooded seal looks odd thanks to the inflatable bladder on the head of the adult male. One of the most significant differences between them and other seals is that the hooded seal is antisocial and territorial. They are super aggressive towards humans as well so unless you want that strange head ramming you, it’s best to keep your distance. These marine mammals usually live in Canada, Greenland, and Iceland. 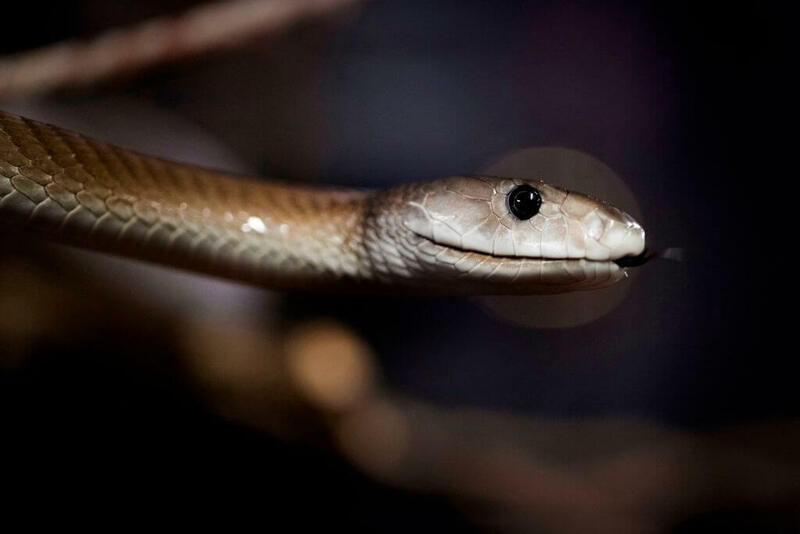 In Africa, the mamba is a source of many myths and legends. That’s already terrifying considering this isn’t a mythical creature. They are highly aggressive, extremely fast, and attack without being provoked. There’s nothing you can do except hope for the best if one spots you. You are now looking at the deadliest bird on Earth. The Cassowary is a massive bird with talons fierce enough to disembowel a human. These aren’t the flying creatures you want to come across in the wild, but if you’re unfortunate enough, there are instances where they wander on the beach or even in people’s homes looking for food. If they don’t find food, then they attack. 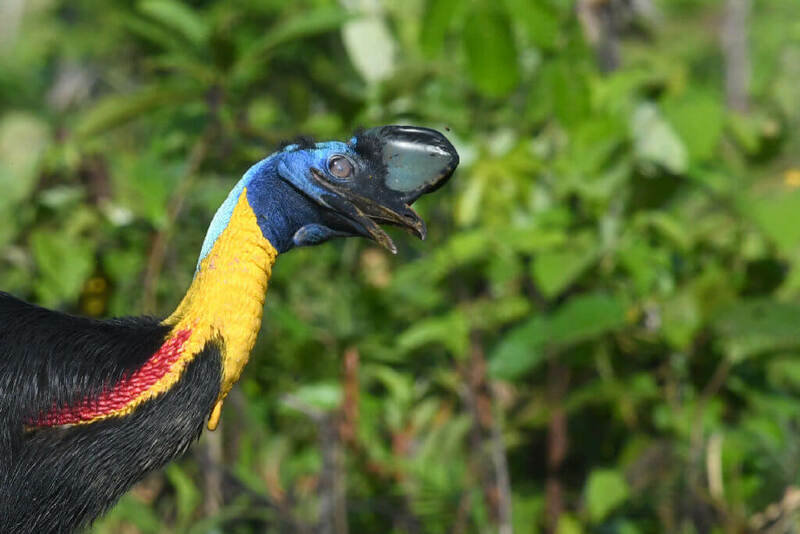 There was a time that the Cassowary knocked over a man and sliced open his jugular vein in one quick swipe. This isn’t the ant you want catch crawling through your trash can. The bullet ant has one of the most fitting names. 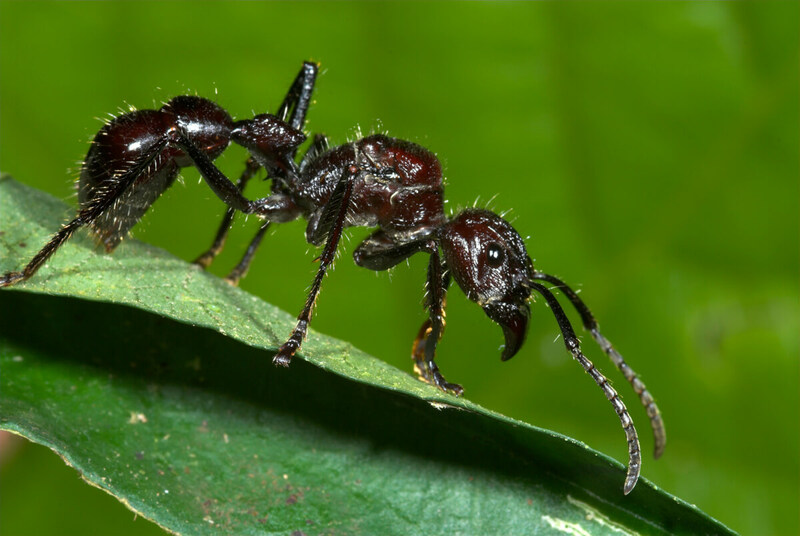 Whether you’re shot by a gun or hit with the venom from this ant, it carries the same amount of pain. The toxins it has targets the central nervous system. After that, it causes paralysis strong enough to bring down a full grown man. All of that from one little ant? If you’re traveling in the South American rainforests, be careful. You might run into one of these insects. 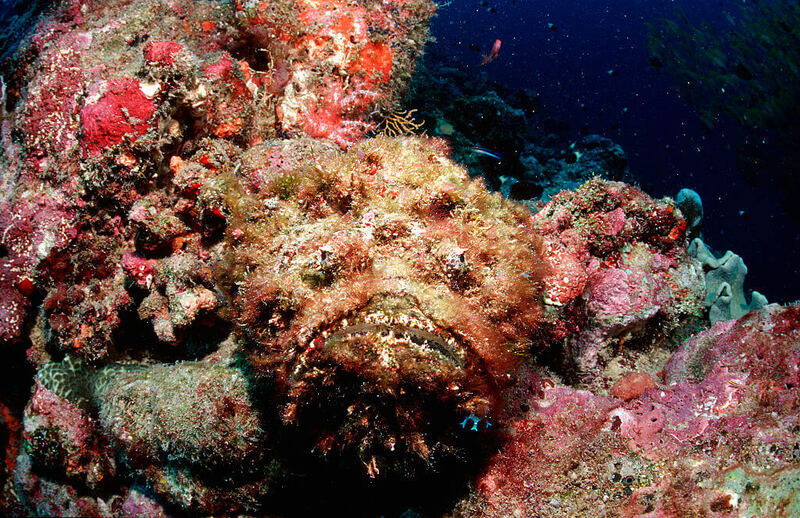 What underwater creature owns the title as the most poisonous fish? The stonefish does. It lays patiently on the ocean floor awaiting its prey with its venomous neurotoxins that emit from its glands when it becomes disturbed or threatened. That’s good news for humans because who goes venturing down to the bottom of the ocean? The spine can easily take your leg at best and even your life. In the crazy event they travel from the ocean floor, they can scarily survive outside of water for 24 hours! 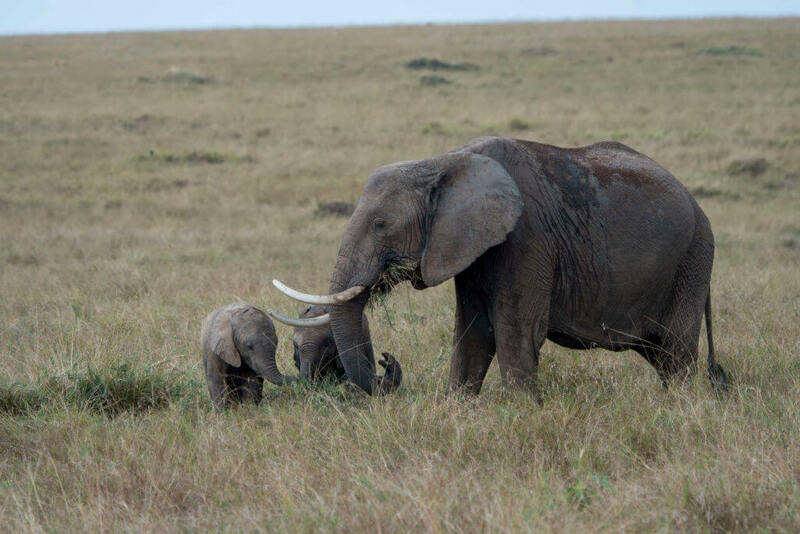 Elephants happen to be many people’s favorite animals. Distant relatives of the prehistoric mammoth’s, don’t get them confused with cute Disney characters like Dumbo. The African Elephant can be very vindictive. They are already the world’s largest land animal, so consider that. These creatures have trampled rhinoceros to death. Elephants also can display bouts of rage and have trampled entire villages in the process. Zookeepers have made them mad before, and as the saying goes, an elephant never forgets. Time went by, and the elephant knocked the zookeeper over to smash his head. Even though these guys look more like eels than sharks; their fierceness very much aligns with the latter. They have a strong sense of hunting which makes them worthy as their famous cousins. They use their trident-shaped teeth to hook prey and keep them from escaping. These sharks live in the deep blue waters, and that’s a relief for everyone. Coming into contact with one of these might be the last time you enjoy the water again. 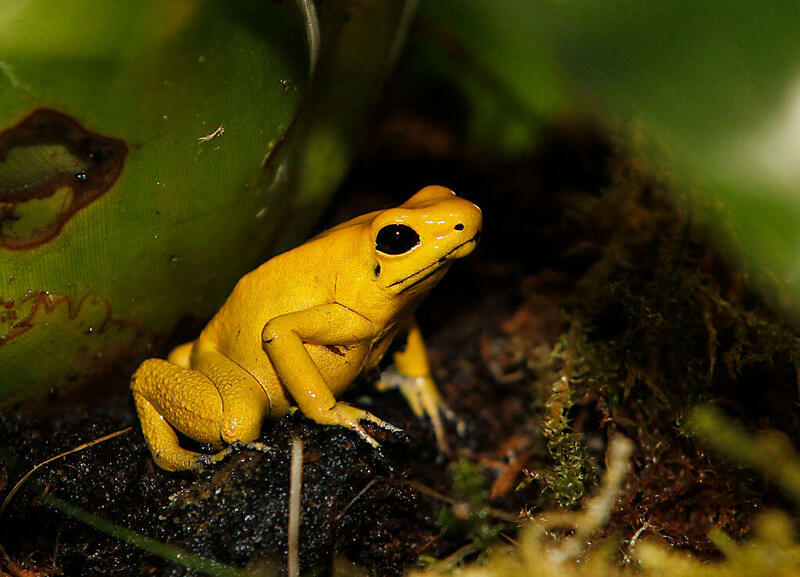 The Golden Dart Frog is very dangerous. It doesn’t even have to attack to get its point across. The skin on this frog has a coat of poison lethal enough to kill ten grown men. One touch and you’re out for the count. Please, don’t let the attractive yellow skin fool you. Did we mention it’s only the size of a paperclip? You can find them in the Pacific Coast of Colombia. Think twice before you visit the beautiful country and you come across this pretty little guy. Don’t let the portrayal of Hyenas from The Lion King fool you; these animals are savages. 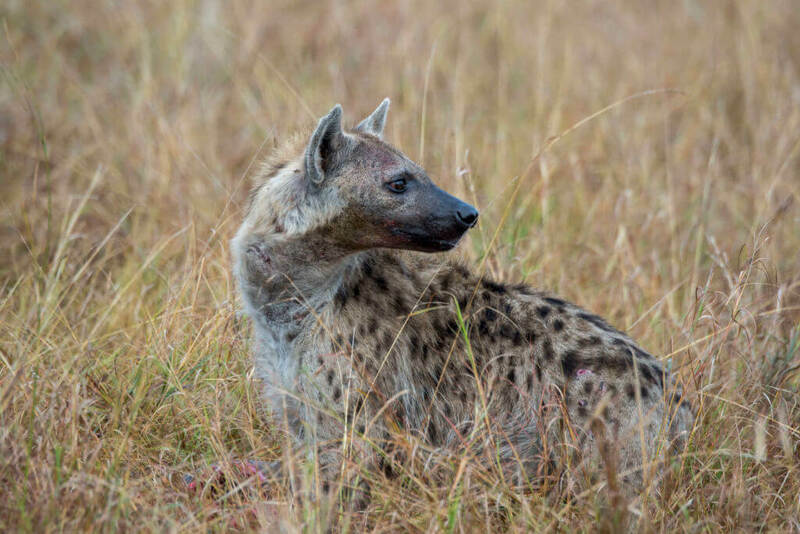 According to animal expert Gordon Grice, the worst way to die is getting devoured by hyenas. That already doesn’t sound like fun. What they do is tear off your skin and face and begin eating you while you’re still alive. You’re screaming and in agony and they’re probably laughing while enjoying their dinner. You feel everything as it goes on. 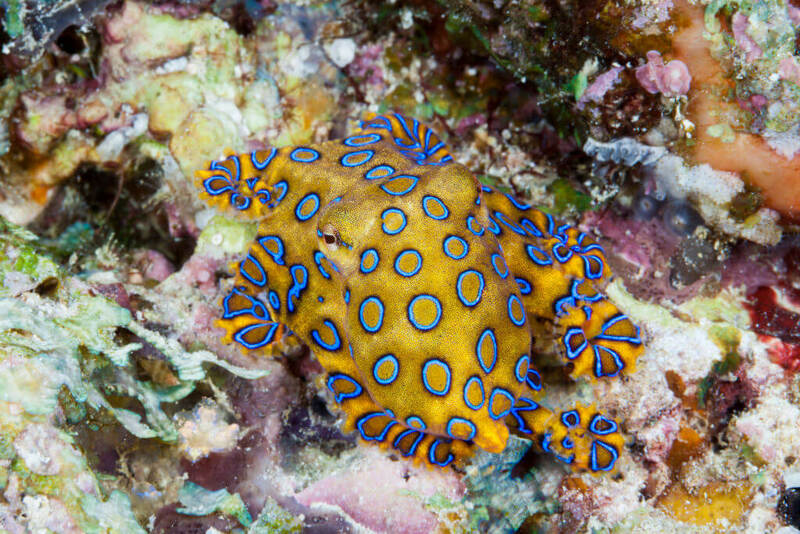 The blue-ringed octopus looks like the result of a bad trip in a movie where the character takes a bad batch of a substance. As scary as that sounds, these guys are even more deadly and sinister. They have a robust defense mechanism which is a neurotoxin that paralyzes the respiratory muscles. 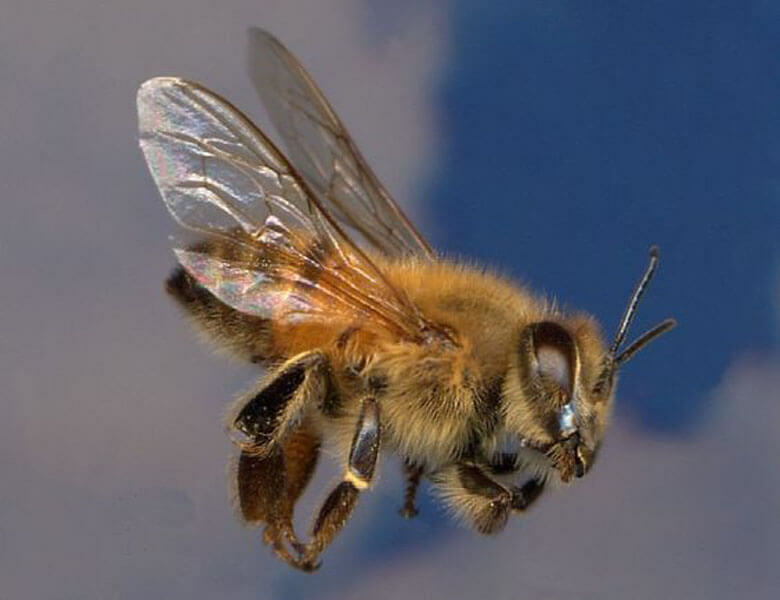 What that boils down to is, if you get stung, you will need immediate artificial respiration or face certain death by asphyxiation (deprived of oxygen). It’s best to stay away from all octopus. 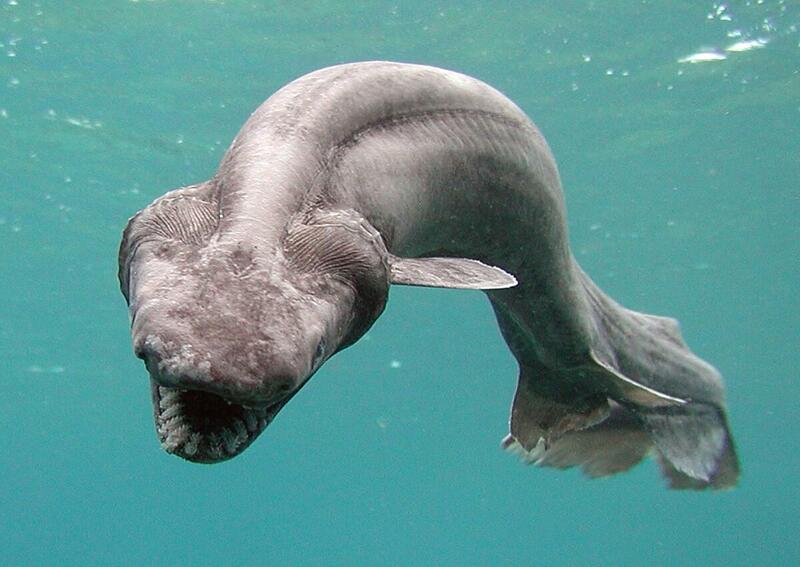 Here’s another deadly sea creature you don’t want anything to do with. 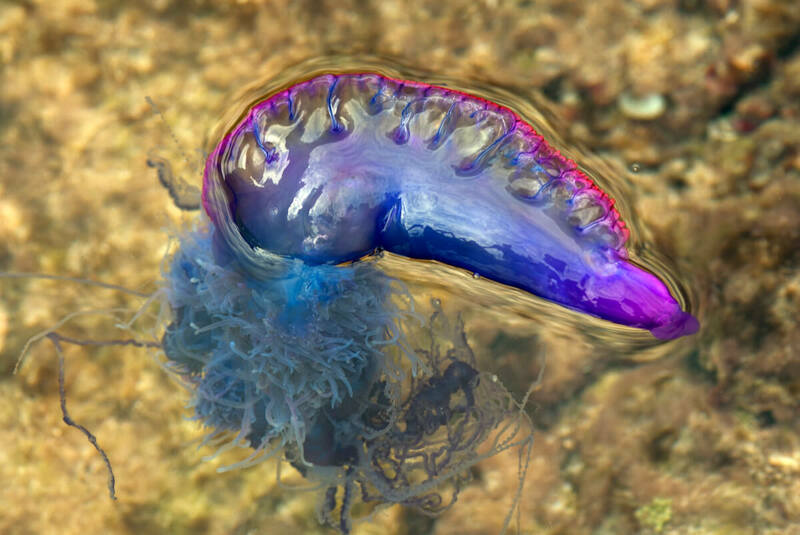 They are thought of as a kind of jellyfish, but the Portuguese Man O’War is a siphonophore. The scary part about them is the venom. The venom leaves large red welts on your skin, then makes its way to your lymph nodes and gives you a fever, shock, and more allergic reactions. They say it’s one of the most painful animal venoms out there. 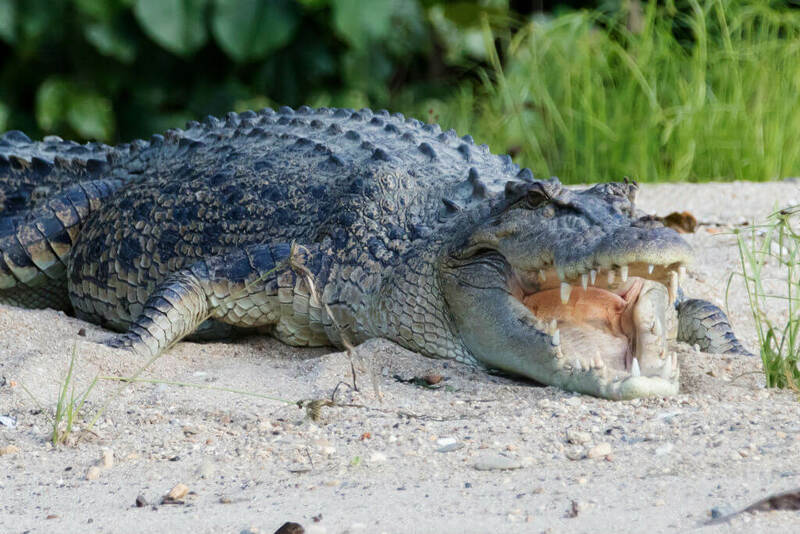 Saltwater crocodiles are relatives of the most dangerous species to walk this Earth, and that’s dinosaurs. They’ve evolved and become highly effective predators, and clearly don’t need to adapt any further to survive. They can swim fast, and know how to hide in plain sight, ready to attack any prey. Did you know they have the strongest bite in all the animal kingdom? That must have got passed down from their prehistoric days. They can also swim in freshwater making them versatile creatures. 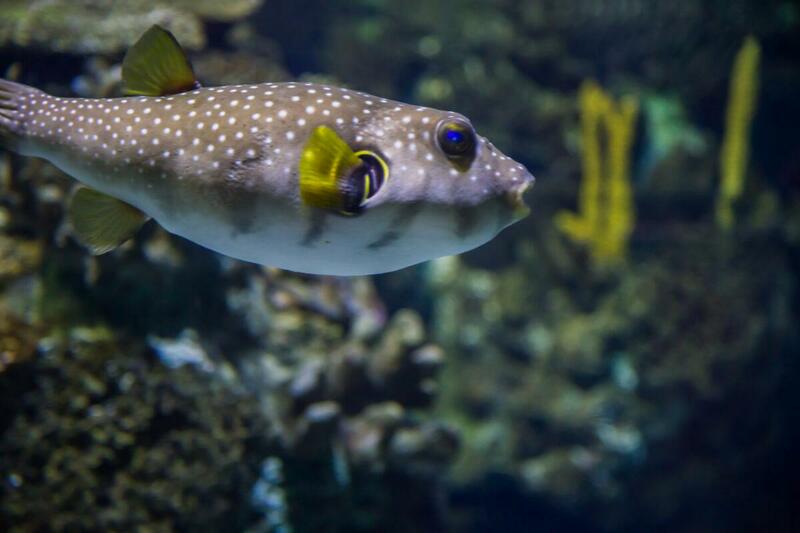 The puffer fish has the most poisonous vertebrates in the world. Strangely enough, these fish are a Japanese delicacy. If you prepare them wrong in the soup dishes or raw, that’s when the poison kicks in. If you’re eating this meal and your diaphragm becomes paralyzed, and you stop breathing that’s how you know its prepared wrong. The Japanese are brave to eat something like that. Are you brave enough to try one of these out? 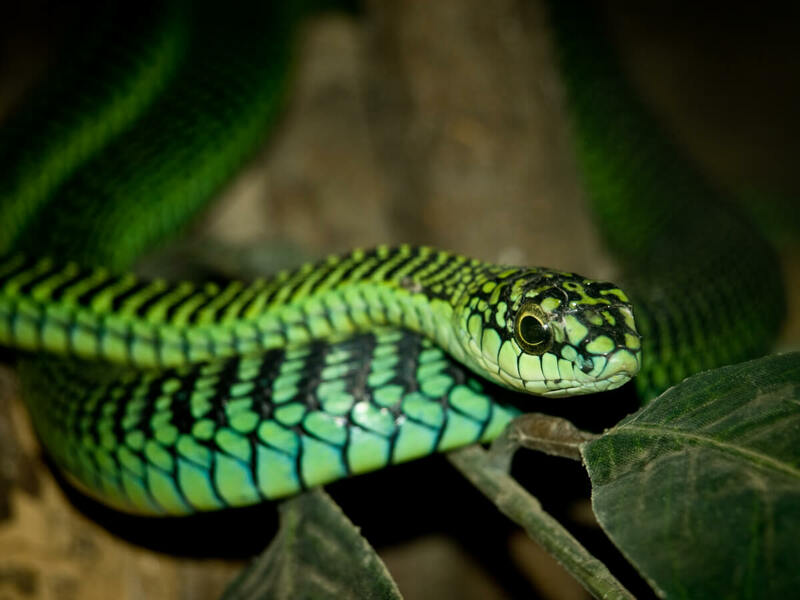 Not quite as legendary as the black mamba, but the boomslang has some deadly features about it. Think of them as the shy friend that lashes out once properly provoked. 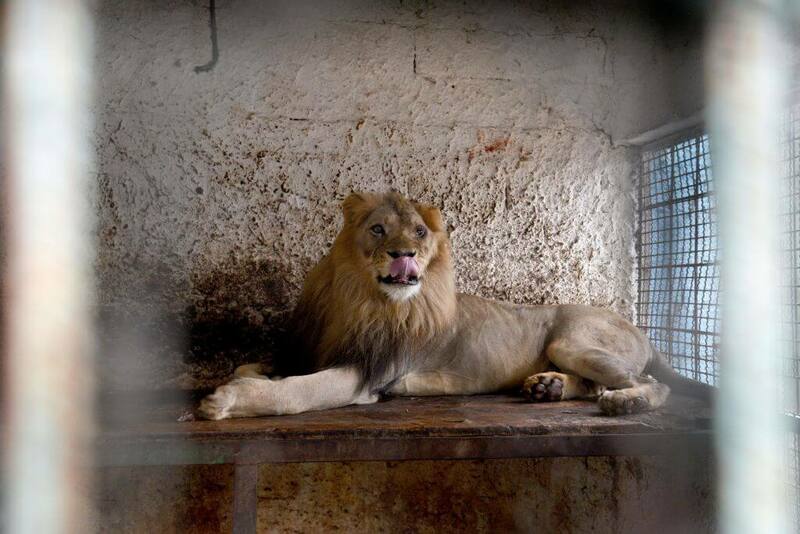 They are relatively shy and don’t go after humans, but when they do, it’s a sad story. The venom they have is a hemotoxin that disables blood clotting. That means once you’ve been injected, you begin to die slowly and bleed out from every pore in your body. These aren’t your cute animated friends from the Coke commercials. Also, unlike some other animals on this list, the world’s largest carnivore is not afraid of you. 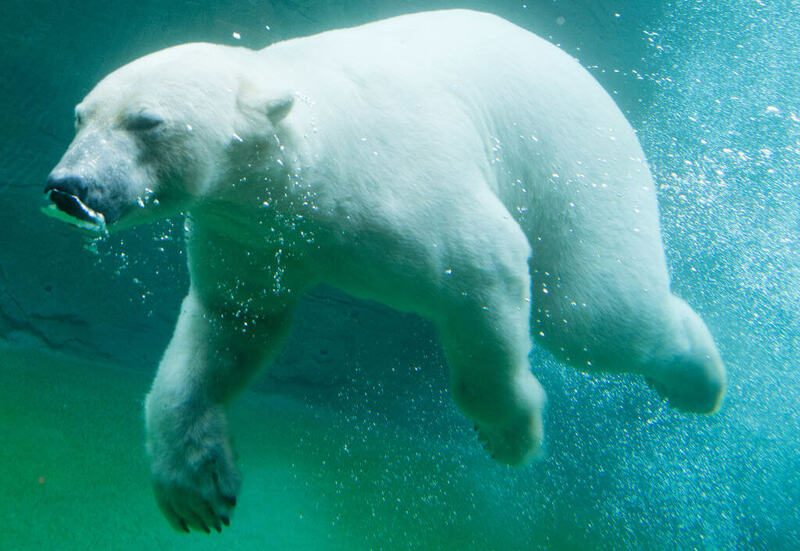 With no natural predators, the polar bear is a scary creature. They eat anything that is even slightly meaty, and that includes other polar bears! That’s the side of them that the media rarely shows. They aren’t known to kill many humans, but that’s because many of them aren’t ever around. This isn’t your ordinary wasp. 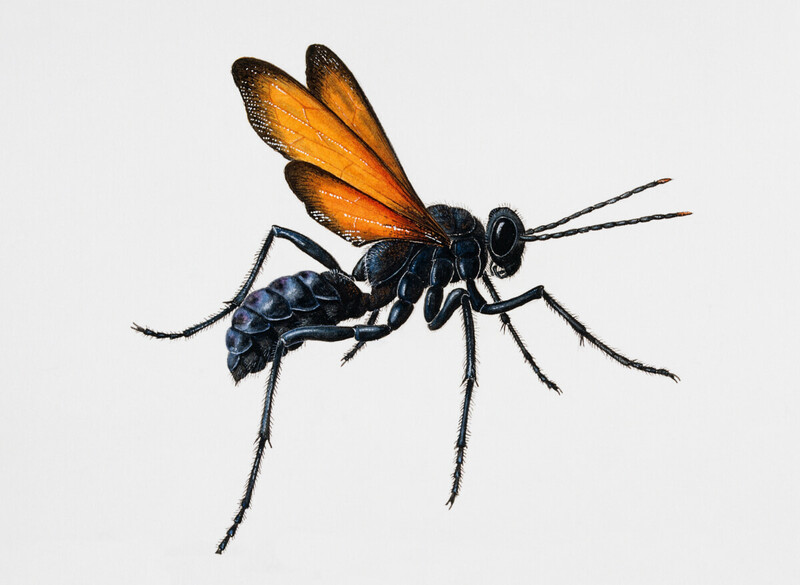 The Tarantula Hawk is a wasp that feeds off of, you guessed it, tarantulas. Those spiders are already massive and can fend for themselves so imagine what the hawk can do to humans. The Tarantula Hawk causes several dozen deaths every year. At two inches long, their stingers contain toxins that paralyze their prey before dragging them (while still alive) to their nest and placing an egg on it. The egg then hatches to a larva and feast the living prey. 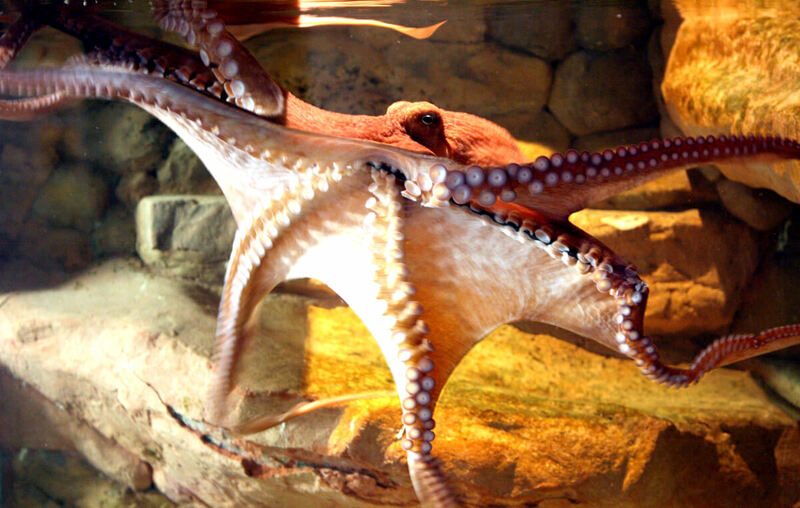 While many people are right to fear the bigger sea creatures such as sharks and octopus, they should also be very mindful of some of the smaller animals. We’re talking about jellyfish in this instance. 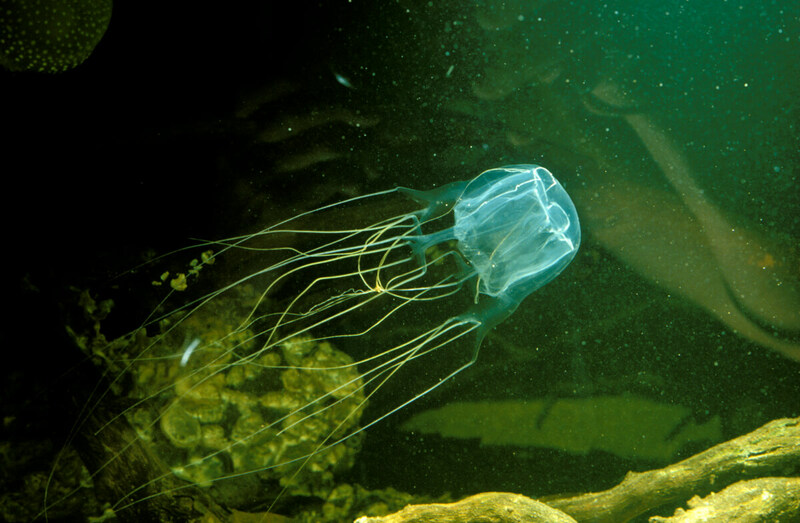 Moreover, out of all them, the Box Jellyfish is perhaps the most deadly. These guys are also known as Sea Wasps and are found in most major oceans, even the waters of California. They hunt smaller creatures and their toxins are deadly to every living thing. If someone told you to guess what the deadliest animal in Africa was, we’re willing to bet a Cape Buffalo wouldn’t be mentioned. Who considers a buffalo when there are creatures like snakes, lions and wasps? Well, the Cape Buffalo ranks among the most deadly animals in Africa. 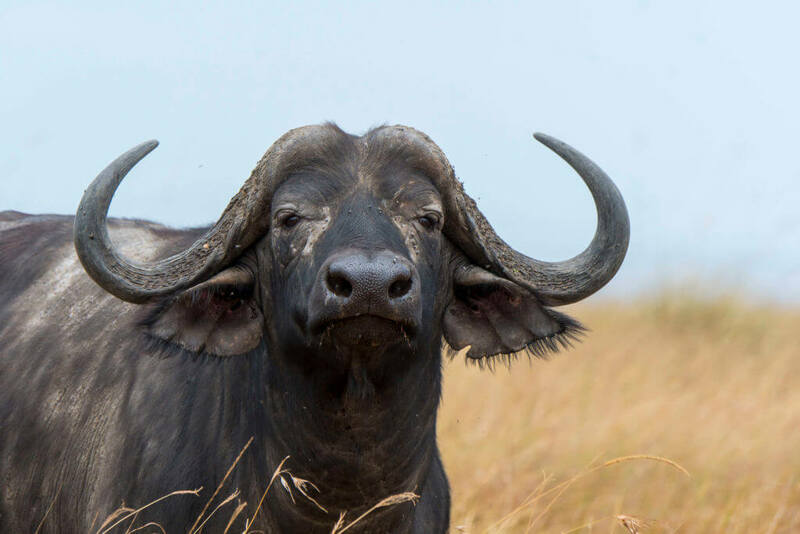 The Cape Buffalo has a large body, powerful head (look at those horns), and are unpredictable. They have never been domesticated and dislike humans. They are known as the Widowmaker. We know its only right to think of a long tailed, scaly skinned, fire breathing creature when you say the word dragon, but this isn’t that type. 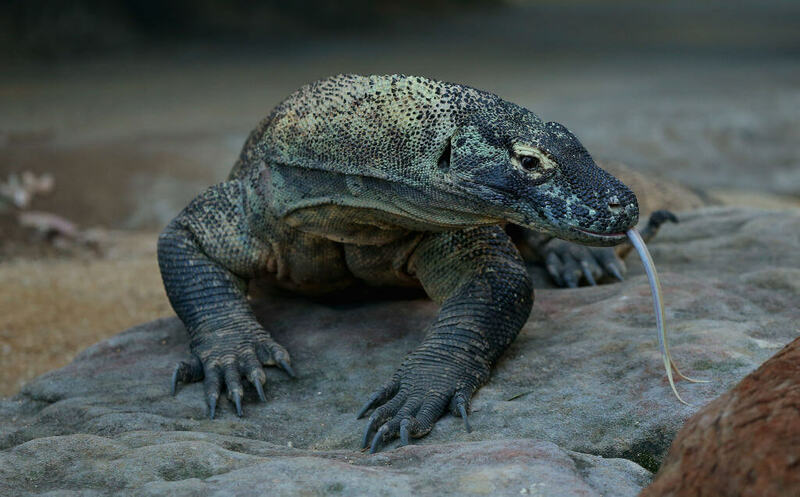 The Komodo Dragon may not be as dangerous as the fantasy dragon, but they still are lethal. Fearless, they eat anything made of flesh and blood. An average male weighs around 200 pounds and stretched nine feet long. They hunt water buffalo and birds, but will devour humans without hesitation. Back to the ocean we go and we are once again terrified. Even though the Humboldt Squid isn’t the biggest of the squid family, they make up for it by being crazy in killing tactics. They are actually designed to kill. Equipped with a beak capable of cutting right through flesh right before they break their bones. Each of their tentacles are lined with suckers surrounded with super sharp teeth. If one of these attached on to you, you’re seafood. Don’t let this little guy fool you, or else it will be the end of your life before you know it. 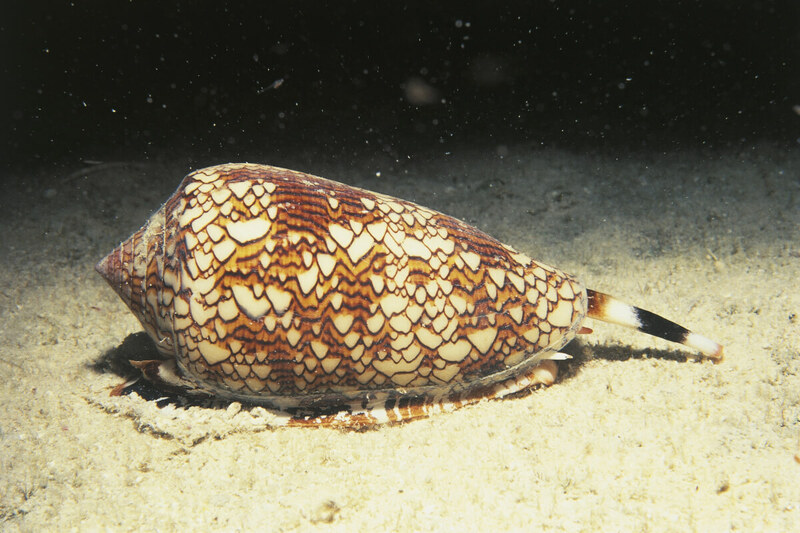 The Cone Snail looks tame, but they are far from it. They gave this creature the nickname “Cigarette Snail” because you have enough time smoke one before you end up passing away. As heinous as that sounds, its due to their poison being very deadly. A single drop is capable of killing 20 adult males and there is no known antivenom. It may be one of the smallest things on this list, but don’t count it out. Look at its belly for starters; that already looks like you’re in for a world of trouble if this thing comes into contact with you. 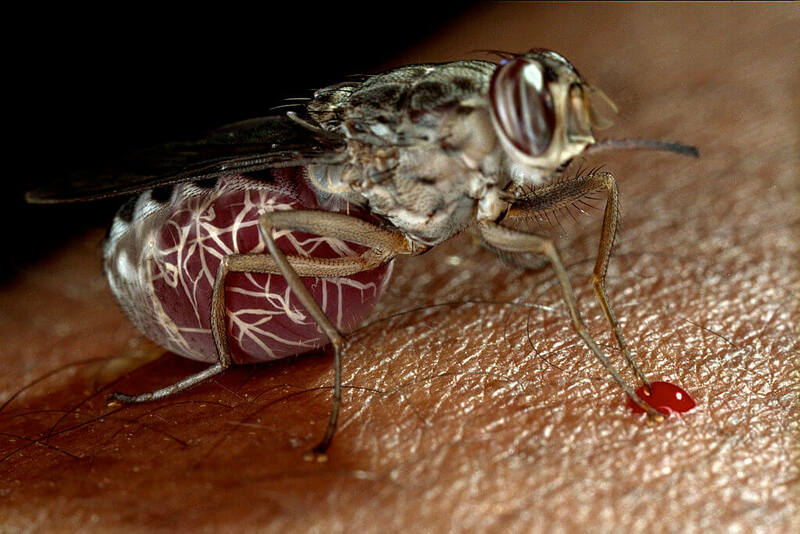 The Tsetse Fly is known to carry diseases that they pass to other living beings including humans. One of the most deadly diseases that it can pass on is sleeping sickness. That is more prevalent throughout Africa. Look at this Assassin Bug effortlessly lifting this bee. Just the fact that its doing that is only a sample of its terror. Not many are aware of the Assassin Bug, but more people should be because they are dangerous. They are primary carrier of Chagas Disease and attack humans when they are sleep, usually biting them around the lips. They kill up to 10,000 people every single year. Don’t ever try to pick this thing up with your bare hands. Okay, we know, the Great White Shark is clearly one of the most deadly creatures on this planet. They are the animal they make movies about and people get violently killed in. Ever heard of Jaws? They are apex predators and have no fear while in the water. What could they possibly be afraid of with those razor sharp teeth and extremely long bodies? 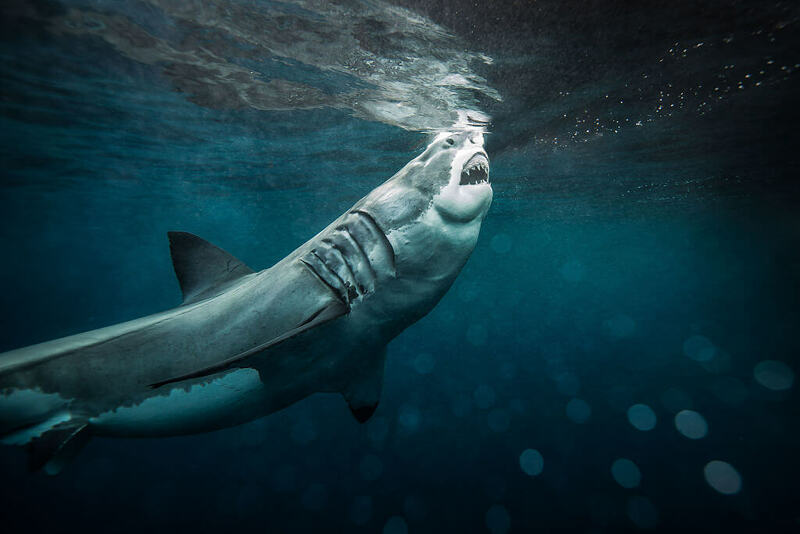 Attacks from these sharks aren’t as common as you would expect, but that’s only because they aren’t around humans that much. Bullet Ants came to your attention earlier on this list, and now its time for a different type. 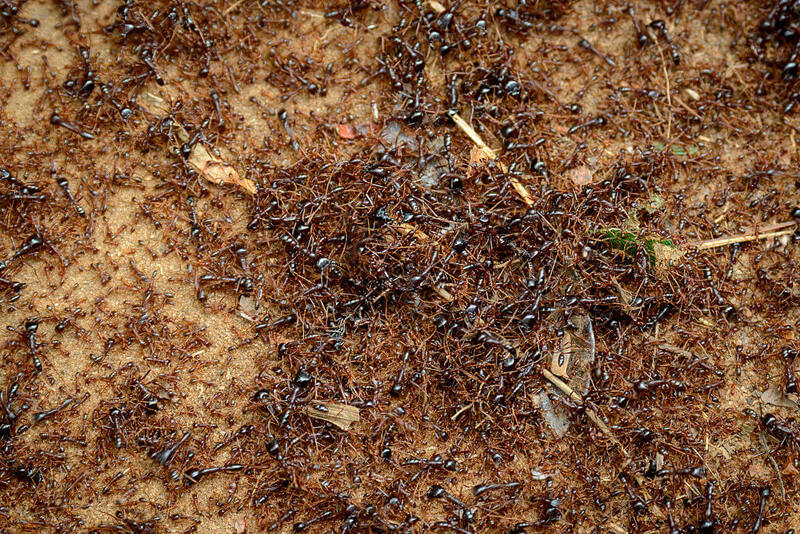 Siafu Ants, also known as driver ants or Dorylus, have swarmed up to numbers of 50 million creatures. If you don’t like the idea of being eaten alive then get ready. These ants are known to swarm and cover the flesh of their prey and never let go. Even when the bodies are torn in half they don’t stop. Much like the shark or the crocodile, we know you know how dangerous the king of the jungle is, but we must include him. The African Lion is noble and one of the most popular animals there is. That doesn’t mean you should clap your hands together to get the big cat to come to you. Chances are its going to attack you. They can hunt, take down, and devour any creature in its path and that includes humans. A swarm of bees might be scary, but there is something even scarier. A giant hornet that can kill 40 bees in a minute and kills dozens of humans every year is what we’re talking about. These flying insects are usually between 1.4 and 1.5 inches in length. The size of a human thumb, they are attracted to the scent of human sweat and are sensitive to people running as well. No marathons should take place in their territories. 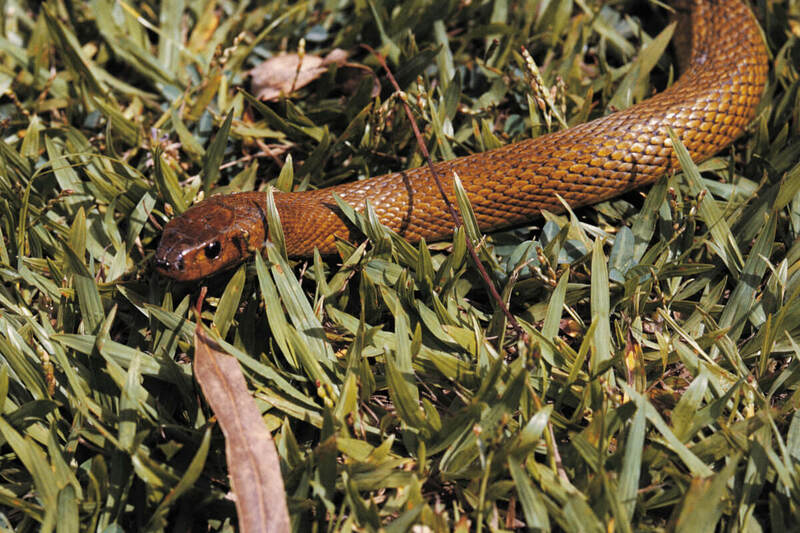 Out of all the snakes on this list we’ve discussed thus far, the Inland Taipan is the most venomous snake in the world. One bite alone is has enough venom to take down 100 grown men. That’s devastating. The good news is that people hardly encounter these vipers. They dwell in Australia where they really try and remain hidden. The snake also tries to slither away from potential threats as quickly as possible even though they are dangerous themselves. How could this seemingly harmless animal get placed on this list you ask? Even though they are thought of as docile and prey, the deer can be a hazard to human life in a big way. They don’t usually attack humans, but they bring death a different way. 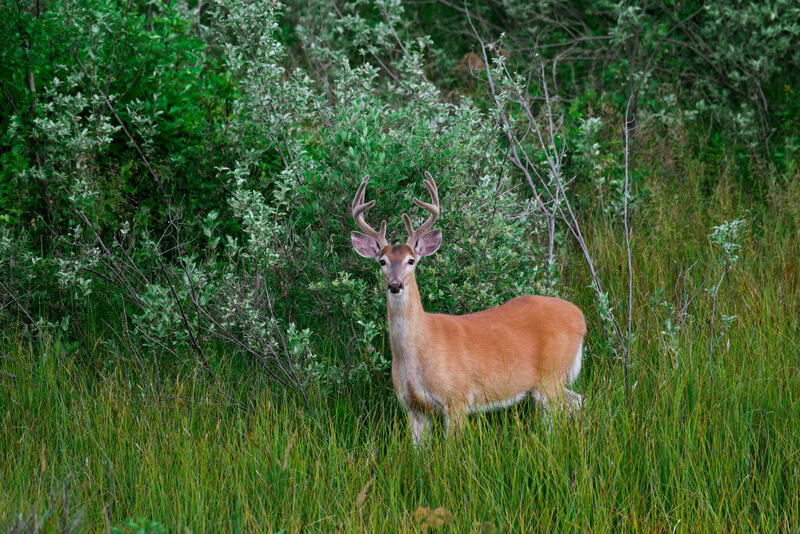 The deer is responsible for more than 1.5 million collisions between vehicles every year. That adds up to more than 100 human deaths per year and thousands of injuries. 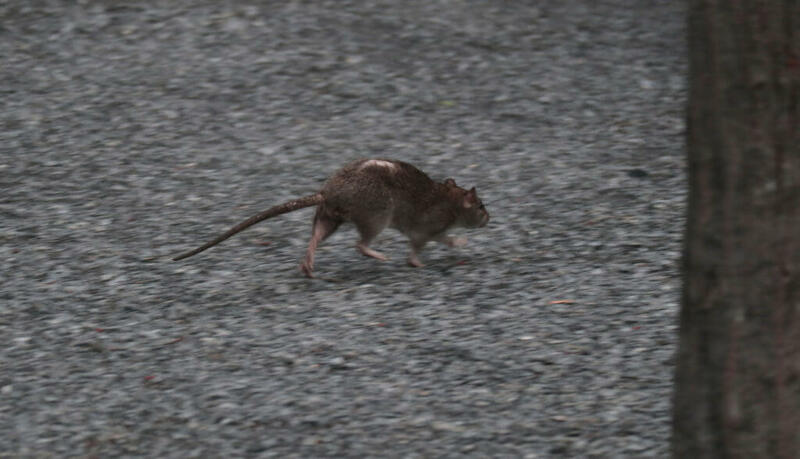 This one might not be as obvious as the lion or the shark, but be cautious of these New York City streets champions. The rat is nothing you want to find in your room when you wake up in the middle of the night. The little guys might have bitten you. They are known to transmit diseases directly to humans. Some of these viruses include leptospirosis, pulmonary syndrome, and plague. All of which can be fatal. We couldn’t leave this big cat off the list. The Bengal Tiger is as majestic as it is dangerous. 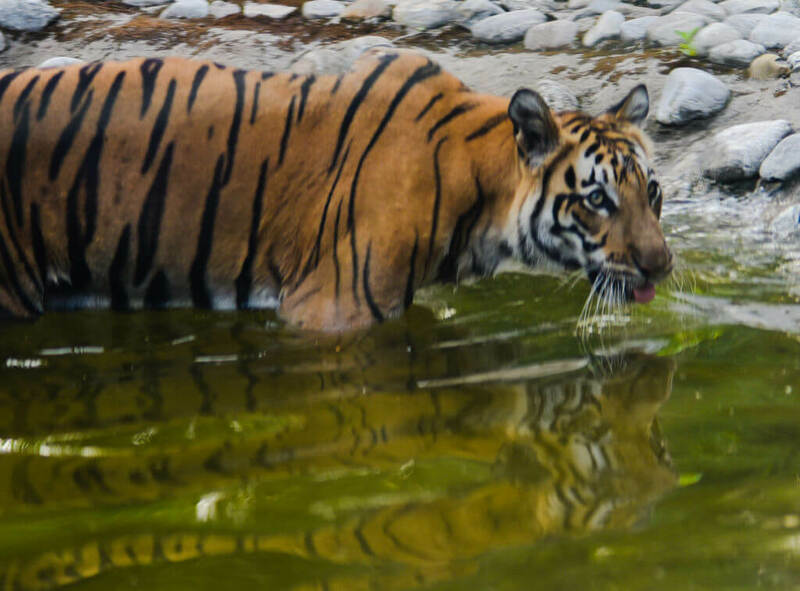 They are one of the biggest cats in existence and are the national animal of Bangladesh and India. They are also the most dangerous. Petty humans have driven them towards extinction, the nocturnal hunters usually stay clear from people. They are intensely strong so that’s a good thing for us and probably better for them due to their status. When hunters first discovered these medium sized bears hanging from trees, they had an idea. The little bears had trunk-like snouts and long claws so the hunters thought they were bear-like sloths. Looking gentle and being gentle are two totally different things. 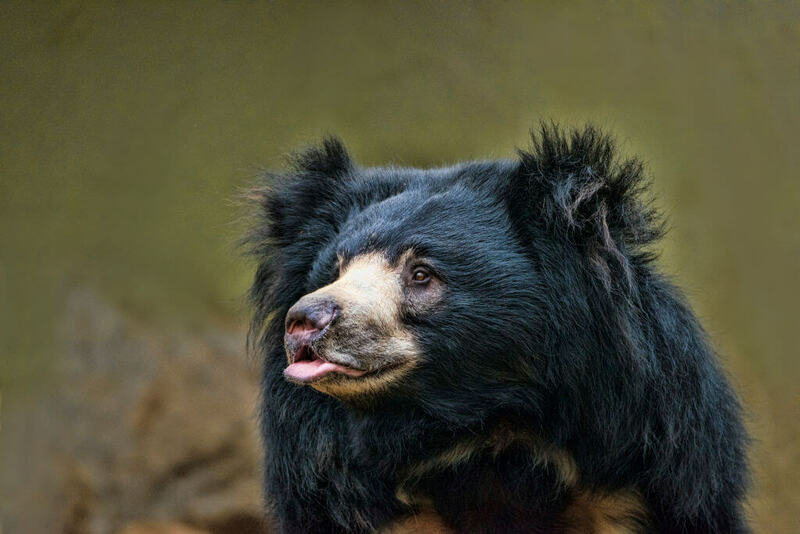 The Sloth Bear can be highly ferocious. The Sloth Bear is territorial and often attack humans by clawing them in the face and on the head. Don’t let that tongue fool you or else. Yes, the hungry, hungry hippo has to be on this list. They are mostly herbivorous but are still highly aggressive. 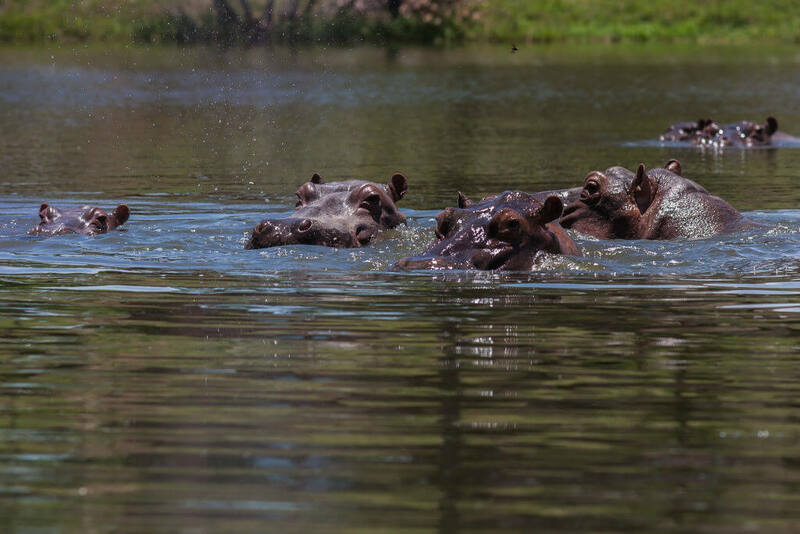 Like the Cape Buffalo, the Hippopotamus is one of the most dangerous animals in Africa that you may not have known about. They are known to attack humans without provocation to the point of totaling entire cars. Who would want to run into one of these guys and mess them anyways? They’re gigantic and have huge teeth. The lion may be the king of the jungle but the gorilla is one animal the lion might not want to come across and battle. Primarily found in central Africa, you had better treat them with caution or it could be your last day. 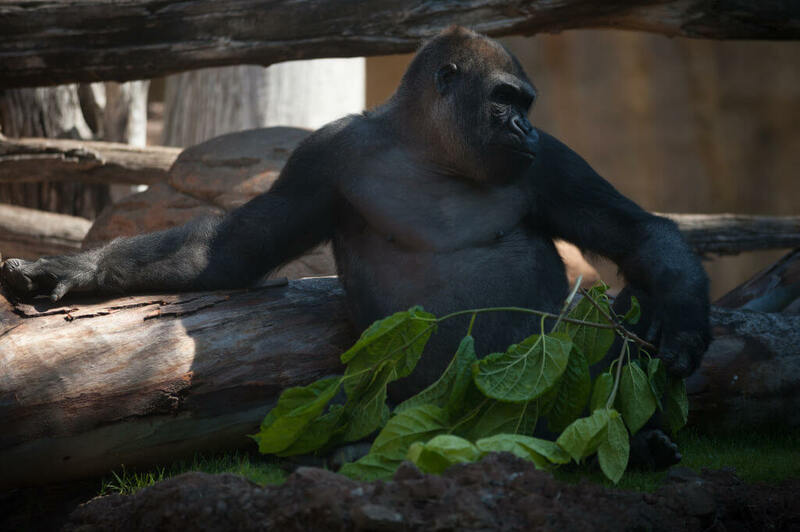 They usually like to eat leaves and mind their own business, but when they attack, a gorilla can cause serious damage. An adult male can weigh up to 400 pounds and have sharp teeth with powerful hands. 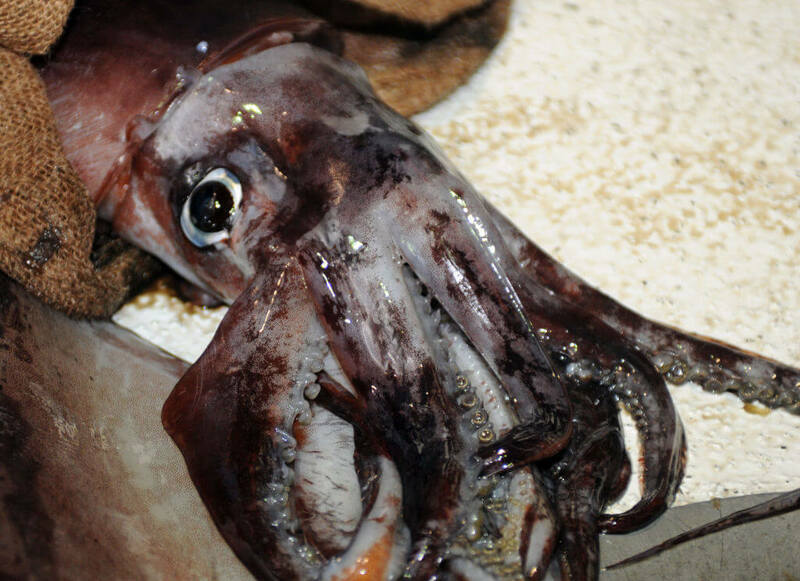 These sea creatures live the longest out of any octopus species. The Giant Pacific Octopus is something you don’t want to come across while exploring the deep blue sea. They can weigh up to 600 pounds and are a formidable predator. They have sucker-covered legs that catch their prey. And when they eat, their victims go through their huge mouths that contain a toothed-tongue. The process of death with these guys is one of the more scary ones. The fact of the matter is that we are not as safe as we think we are. We are the most deadly creatures to walk this earth and that’s the truth. 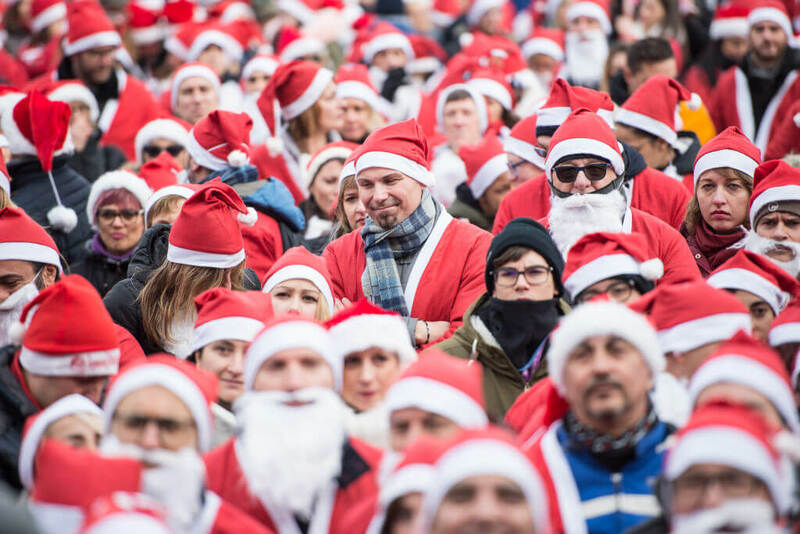 There is a rough estimate of 475,000 humans that perish every year due to other humans. That’s insane to digest but it’s whats going on. We also have a huge hand in many of these other animals becoming close to extinction. Overall, we are the most dangerous.